This boho beaded bracelet is easy to wear and easy to stack. It’s a terrific pick if you just want to dip you toe into boho style, while keeping your clean, minimalist style too. 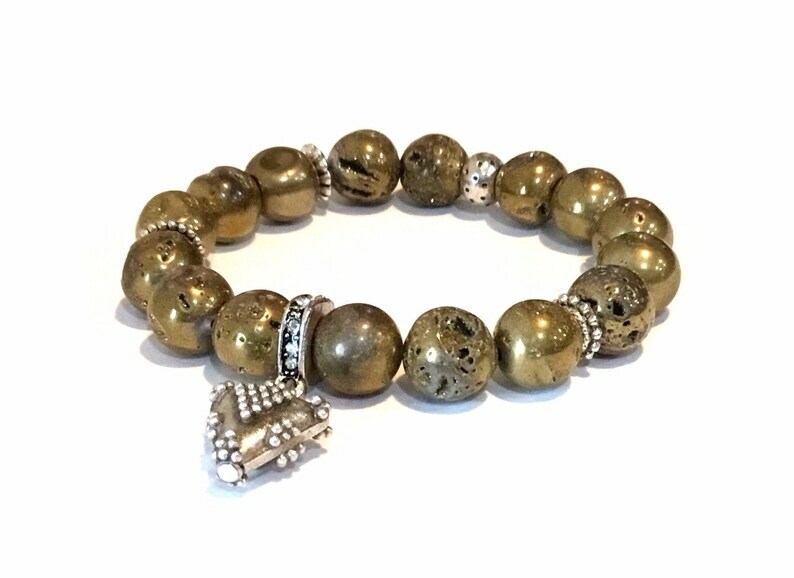 The gold agate druzy beads are stellar, with authentic dimpling and sparkle. 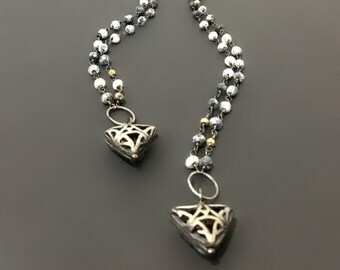 And the mix of silver tones along with a fabulous granulated triangle bead adds loads of personality! Please select your wrist size at checkout. I will adjust the bracelet to fit your wrist size. See easy instructions below for measuring your wrist. Just use a measuring tape or a piece of string and wrap it around your wrist where you want to wear your bracelet. Snug but not too tight. If you're using string, mark it and measure next to a ruler. Then pick the size you want at checkout.